CITY TO CITY EXPRESS SERVICE Our Express service connects Glasgow & Edinburgh with Perth, Dundee, Aberdeen & Inverness. PRIVATE COACH HIRE We offer Private Coach Hire for all occasions. New 35 Seater Executive Coach Hire Our new fleet of 35 Seater Executive Coaches have arrived and are already touring Scotland. Park's City to City services remove hassle and inconvenience from travelling to and from the Scotland's Cities. We offer a range of services connecting Glasgow and Edinburgh with Perth, Dundee, Aberdeen and Inverness. For all stops and times, please use our journey planner. 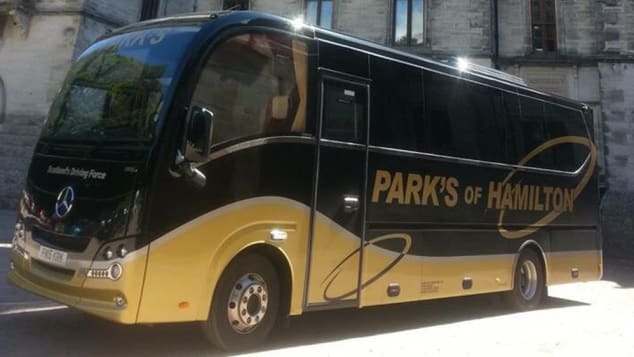 Park's City to City services remove hassle and inconvenience from travelling to and from the Scotland's Cities. Parking space hunting, road rage and stress can be left behind! Just sit back, unwind and enjoy your journey.